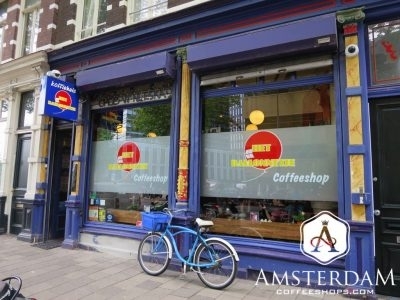 The Bulldog Palace is a must-see coffeeshop when in Amsterdam. It was built inside Amsterdam's former police station number 14, in the old jail downstairs. Here visitors will find an amazing museum, with many artifacts from the prohibition era. The coffeeshop has definitely been partnering with quality breeders. Likewise, they often have a menu with competition-winning selections on it. We recognize this shop as a connoisseur establishment; a distinction well deserved. The name of this shop translates in English as "The Balloon". 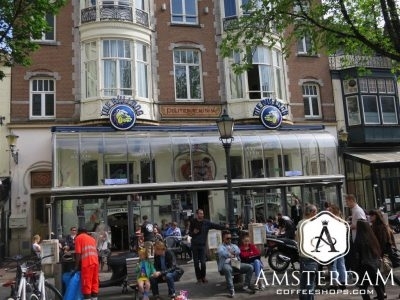 Het Ballonnetje is one of the oldest coffeeshops in the city, first opening its doors in 1978. So, this is a historic place. It is also one of the more quintessential Dutch establishments. This establishment is relaxed and unpretentious in its appearance. It is also owned by the same group as Siberie, The Loft, and De Republiek. As such, expect to find a connoisseur menu here. This is one of the few shops that invest in lab testing. An interesting coffeeshop; its windows and architecture are open and modern, and the shop quite inviting. There is cool artwork on the walls, ample seating, even a comfortable couch. 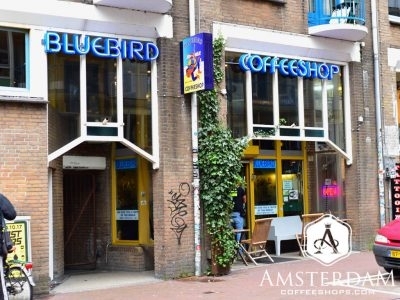 We’d best describe Bluebird Coffeshop as a “chill” location. 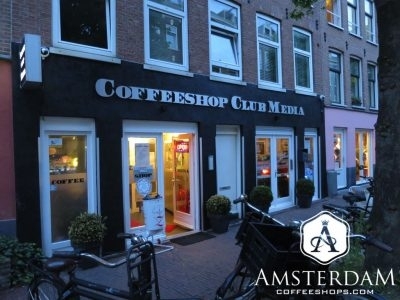 Club Media coffeeshop is located in Oude Pijp (the Old Pipe) neighborhood. It is right adjacent to the Abert Cuypmarkt, a busy outdoor market which attracts a lot of locals and tourists alike. 1e Hulp literally means "First Help". A reputation for quality cannabis has strengthened interest among visitors, who often make a special trip here. This coffeeshop is quite nicely appointed, with an ornate Arabian them throughout its three floors. 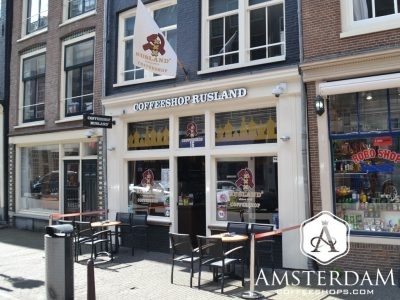 Rusland has the distinction of being the first legally-established coffeeshop in the city. 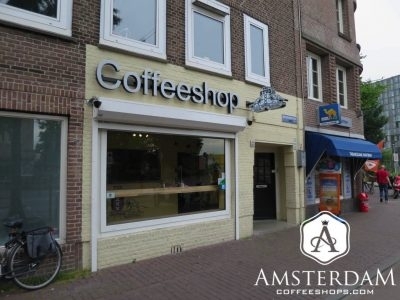 It holds coffeeshop license number 001, and opened its doors on April 30, 1975. 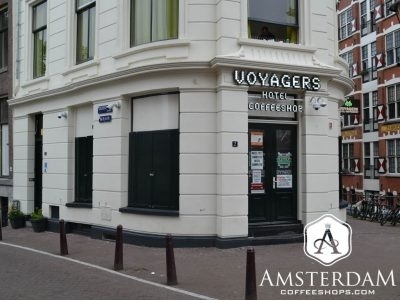 As such, this is recognized as a historic shop and one of Amsterdam's pioneers. 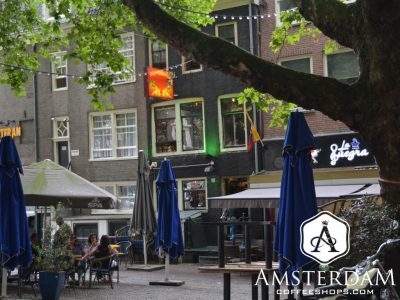 Being in Thorbecke Square, Bushdoctor Coffeeshop has access to a great deal of outdoor seating space. On sunny days, they take full advantage of it. They'll place roughly a dozen small tables outside, and enough seating for several times that number.